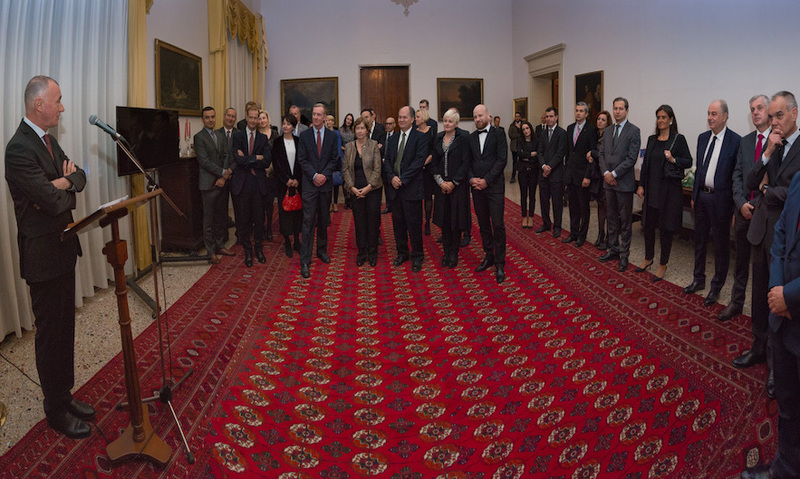 Milan, 14th December 2017 – Yesterday evening, in Palazzo Cusani, Lt. Gen. Roberto Perretti and Senior National Representatives met with the Consuls of the nations contributing to NRDC-ITA’s international Staff. The meeting provided the opportunity for an update on the recent validation the Headquarters underwent to cover the role of Land Component Command in view of eNRF 2018 (enhanced NATO Response Force) stand-by period, past activities and training, and the way ahead on future events. In addition to the 13 NRDC-ITA contributing nations, were also present the Consuls of Latvia, Lithuania, Montenegro, Poland, Romania as next NRDC-ITA new contributing nations.